For simple drawing, python provides a built-in module named turtle. This behaves like a drawing board and you can use various drawing commands to draw over it. The basic commands control the movement of the drawing pen itself. We start with a very basic drawing program and work our way through to draw a complete chess board using python turtle. But what if we want to draw different squares at different locations? The following python program shows how it can be done using turtle commands. The draw_box() function is enhanced to draw the square at a specific location. 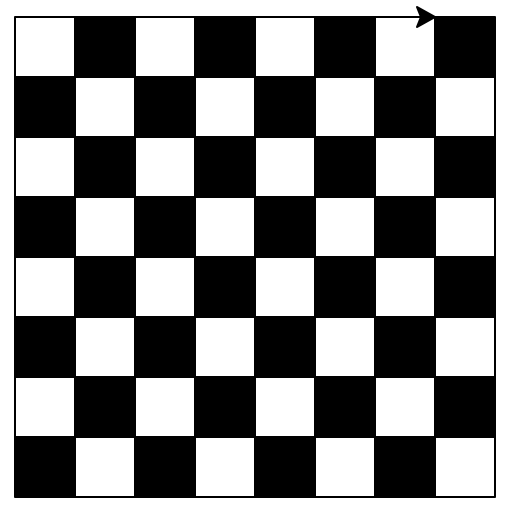 The following program draws a 3×3 grid of 30 pixel boxes. t.begin_fill()  # Shape drawn after this will be filled with this color! t.end_fill() # Go ahead and fill the rectangle! square_color = 'black' if square_color == 'white' else 'white' # toggle after a row!